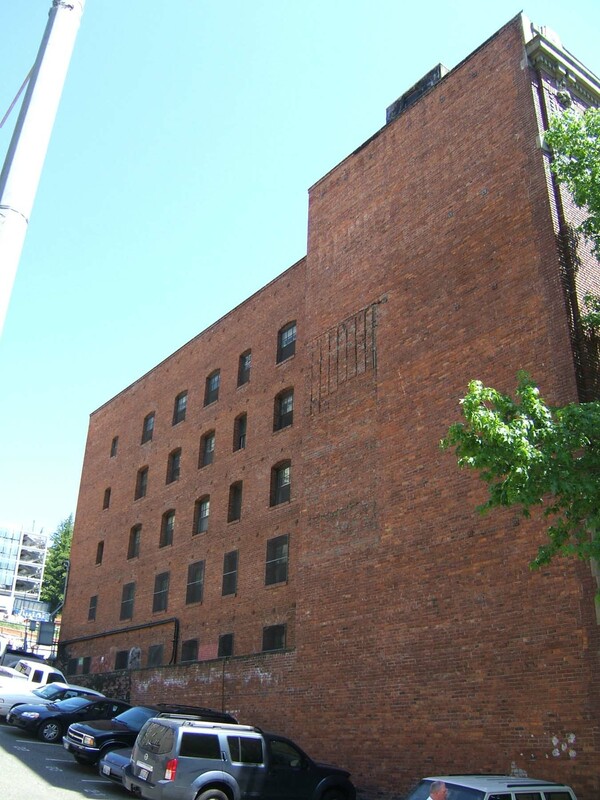 Located mid-block on the east side of Fourth Avenue between the Yesler Way viaduct and Jefferson Street, this six-story building was designed and constructed to serve as a 125-room hotel. It now functions as a residential work-release facility. It measures 60’ x 111’ with an irregular E-shaped plan from the 2nd to the 6th floor levels to allow for two light wells oriented south and a narrow light well along the northern elevation. It exhibits a distinctive two-part vertical block façade composition and Beaux Arts style design elements. The storefront level has been significantly altered. The ordinary masonry structure includes a concrete basement and foundation and is clad with red brick laid in Flemish bond, cast stone and terra cotta ornament. The two-story base is distinguished by a series of five segmental arched window openings with keystones at the second floor level. The window openings are trimmed with wide cast stone and terra cotta surrounds and separated by terra cotta and brick inlaid panels. The shaft is dominated by individually set rectangular window openings with cast stone sills. The third floor level openings include distinctive cast stone and terra cotta voussoir heads and the fourth floor level openings have a single terra cotta keystone. A simple continuous cast stone sill with terra cotta brackets runs below the sixth floor level windows. The building cap is accentuated by ornamental brick panels located between all of the sixth floor windows openings. Above each panel are terra cotta scrolls and brackets supporting a denticulated cornice. The parapet is further decorated with cast stone and brick panels that correspond with structural bays between window openings. Side walls are common brick punctuated by segmental arched window openings. A prominent ornate terra cotta and cast stone entry bay with rusticated cladding and Classical-inspired entablature head remains in place at the northern end of the base. However, the remainder of the storefront level has been significantly remodeled and altered. All of the original 1/1 double-hung wooden windows have been replaced with modern anodized aluminum window units. There do not appear to be any intact or architecturally significant interior building features, finishes or public spaces. "Modern Brick Structure that Followed Fourth Avenue Regrade" Seattle P.I., May 5, 1910.